RIGS offers great ways to get your family out on the water this season with rewarding experiences that are fun and easy to learn. Rafting is one of top ways to get the whole family out on the water and RIGS specializes in family fun and safe rafting trips plus other great ways to get everyone outside and on the water. Try our ½ day Uncompahgre family raft trip for some bumps and splashes, twists and turns and lots of fun for families with kids over 5 years old and 50lbs or seniors looking to still have some fun but nothing too extreme. Our ¾ day raft, kayak or stand up paddle board trip offers a true river adventure with an educational twist. Visit an active archeological site and learn about the unique culture gem right off the river that is still in the process of being dated. Currently, Eagle Rock Shelter excavations have dated back as far as 12,800 years with findings like the second oldest basket and hearth found in North America. Stand-Up Paddle Lessons and Rentals (SUP Boarding) is one of the hottest water sports to take over Colorado Lakes. SUPing can be a relaxing or a strenuous and you want; great for the whole family! Head to Ridgway State Park Reservoir for the best SUP lake. Rentals – We offer hourly rentals at the Ridgway State Park Reservoir from June 15th – August 15th. (SUP) Paddle Boarding Rentals & Inflatable Kayak Rentals are just some of the many ways to experience Southwest Colorado. 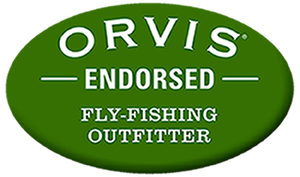 We also offer Guided Fly Fishing Trips that is a great way to learn a new skill that can provide lifelong lesson in patience and observation. Our guides specialize in teaching, creating and expanding existing knowledge. A perfect way to celebrate milestones with your family. College break but don’t know what to do for work? Have what it takes to be guide? RIGS offers specialty clinics and courses like: Fly Fishing Guide School, Colorado River Guide Training Course, Learn to ROW Course and more. Next family reunion, break the mold, by creating a Custom Group Activity for your whole family and experience adventure your own way. Contact one of our reservationists for more information about our trips and get out on the water this season! Family Adventure at its best! Explore the best of the Western Slope of Colorado and the beauty of the San Juan Skyway, Cimarron River, Ouray Country’s High Creeks & Lakes and Black Canyon & Gunnison Gorge Wilderness with RIGS Adventure CO. Use RIGS as your base camp for your family adventures with our access to the incredible San Juan Mountains and the Cimarron Range! Whether your fly fishing for trout in the Gunnison Gorge during “The Stone Fly Hatch,” Paddle Boarding on the serene Reservoir with the mountains in the background or discovering rafting through the eyes of a six-year-old, we provide the experience and love of the outdoors to make your trip a picture perfect memory. Family Activities abound near Ridgway, Colorado.